Seven days of the week. Seven awesome foodie offers. From all-you-can-eat Maki Mondays to buy-one-get-one free Taco Tuesdays, here are seven must-try foodie deals for every day of the week. Reminiscing about Nan’s British Roast back home? Well, you won’t have to reminisce much longer as The Tap House is bringing you a hearty roast dinner with all the trimmings. Available for lunch and dinner, take your pick from tender beef, chicken or lamb, served alongside a selection of unlimited sides including roasted potatoes, seasonal veggies and gravy. Mondays were made for… Maki madness! Head down to Namu at V Hotel for an evening filled with all-you-can-eat maki, sushi, nigiri and sashimi – all starting from just AED 165 per person! Ready to taco ’bout this foodie deal? ‘Taco Tuesdays’ at Trophy Room has buy-one-get-one free offers on tacos throughout the day. Choose between grilled fish and chicken tacos, and finish it off with an array of toppings including pickled red cabbage and chipotle aioli sauce. 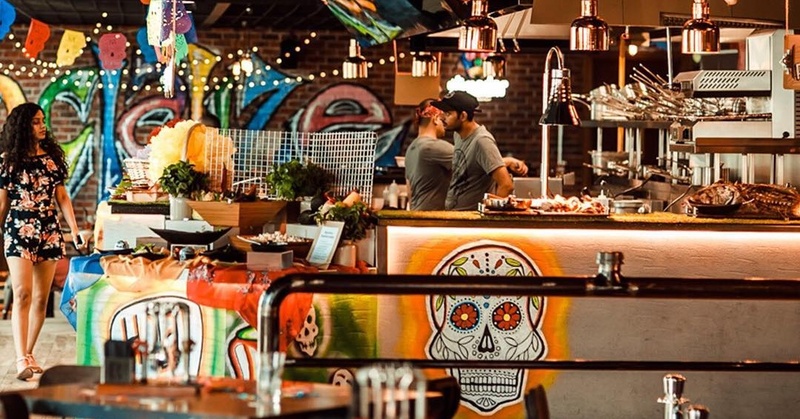 Ladies, if you’re looking for a mid-week excuse to go out, Yalla Amiga-Wednesdays at Cuisinero Uno is offering three tapas and two drinks for AED 100! Just remember there’s one rule… leave your man at home! Get ready to experience the ultimate Mexican Fiesta on a Thursday at LOCAL’s Thursday Fiesta Drunch. We’re talking free-flowing margaritas, live cooking stations with sizzling enchiladas and quesadillas, and plenty of guacamole! All-you-can-eat pizza on a Friday? Yes please! Head down to Trophy Room at Fairmont Dubai for unlimited pizza fresh from the oven. Take your pick between the cheesy Margarita or classic Pepperoni, and enjoy four whole hours of pizza perfection for just AED 79 per person. Dim sum lovers, Long Yin is offering all-you-can-eat dim sum for just AED 119 per person! Whether you prefer steamed or fried, take your pick from a variety of dim sum dishes, served alongside rice, noodles and soup. Read more: From fun things to do in Dubai’s old town to the hottest restaurants in Dubai right now, flick to insydo for all the inspo you need! next5 Filipino Buffets in Dubai – For AED 30 or Less!